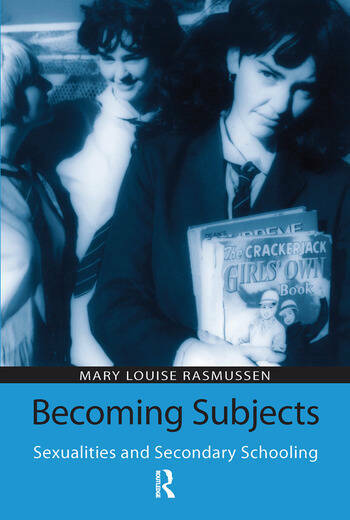 This book focuses on key contemporary discourses related to sexualities and schooling. Such discourses include: educational strategies used to support lesbian, gay, bisexual, and transgender (LGBT) students; considerations of how educators might influence students' sexual identity; narratives of risk and violence often asociated with LGBT youth; stories of salvation and protection; as well as debates relating to the 'closet' and calls to 'come out' in the classroom. People often are left out of discussions of sexualities and schooling are also incorporated in this text. Mary Louise Rasmussen is a Senior Lecturer in Curriculum and Pedagogy at Monash University. She is the co-editor, with Susan Talburt and Eric Rofes, of Youth and Sexualities: Pleasure, Subversion and Insubordination In and Out of Schools. Currently her research focuses on the intersections between arts, identity and public pedagogies.